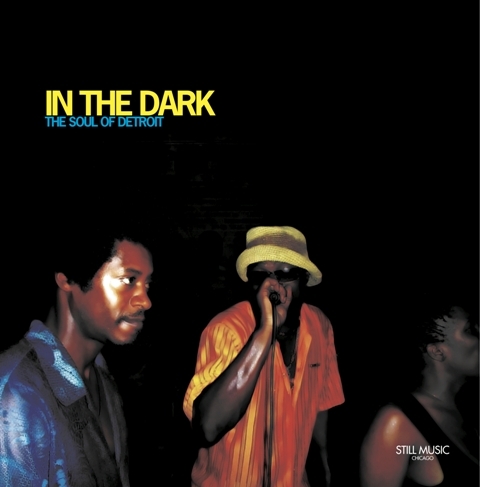 In 2005 a number of shakers and movers of the Detroit deep house scene were united in a compilation called “In The Dark (The Soul Of Detroit)”. Centered around Rick Wilhite and Marcellus Pittman, the release became a highlight of the season and fell to the “hard-to-find” category soon. Only seven years later Still Music decided to drop a reissue both on vinyl and CD. A good reason to pick the album from the shelf, to revisit exquisite cuts like Pittman’s nine minutes of full-bodied drizzling jazz “A Walk Thru Osaka” or “Cosmic Jungle”, a crawling percussive monster by all-star combo of Wilhite, Urban Tribe and Sherard Ingram. Most abstract cut between early UR techno and house is “In The Dark”, featuring again Pittman and Wilhite along Ray Bone Jones. Exclusive to the reissue “Bosmos”, an invasion of looped treble clef in collaboration of Wilhite and Moodymann. The CD version of the compilation will be accompanied by a 30-minute film “In The Dark: Voices”, featuring interviews from Wilhite, Ron Trent, Mike Grant, Mike Huckaby, Franki “DJ 3000” Juncaj and many others.